How often can you find an up-market casual diner tucked in a mall doing a full house on a Thursday afternoon??? 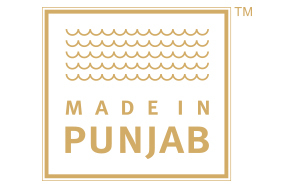 I was in for a surprise when I witnessed the same yesterday afternoon at Made in Punjab another young brand from the house of the iconic Jiggs Kalra’s Massive restaurants. 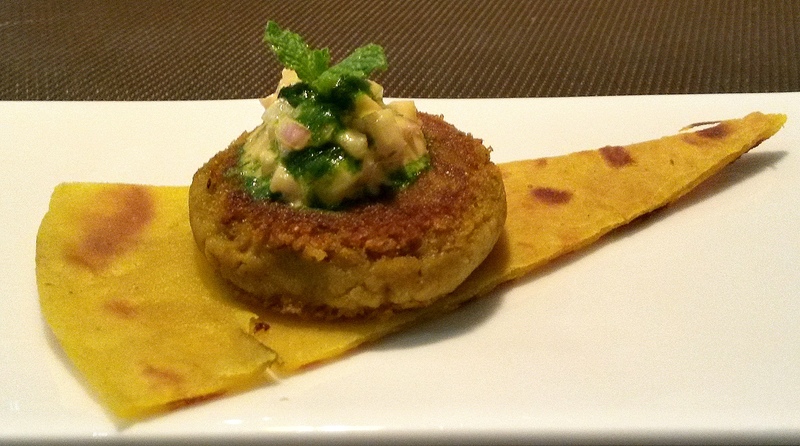 The casual dining Indian restaurant has ambient lighting and a minimalistic modern décor. 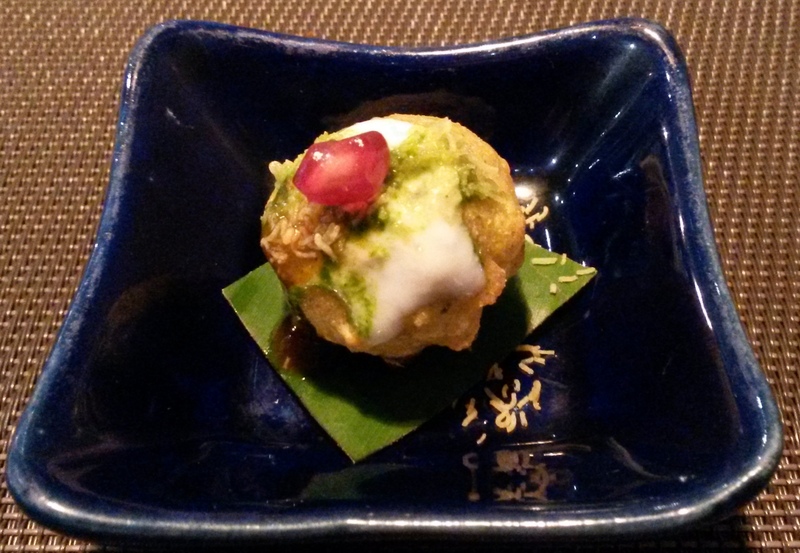 As I scoured through the menu, an Indian version of the amuse bouche; an aloo bonda all ‘chaated up’ was passed on. I decided my order in no time of me gobbling up the same, and perhaps that is the trick with these freebies, they get you drooling. The beverage menu was limited as the restaurant was awaiting its liquor license. 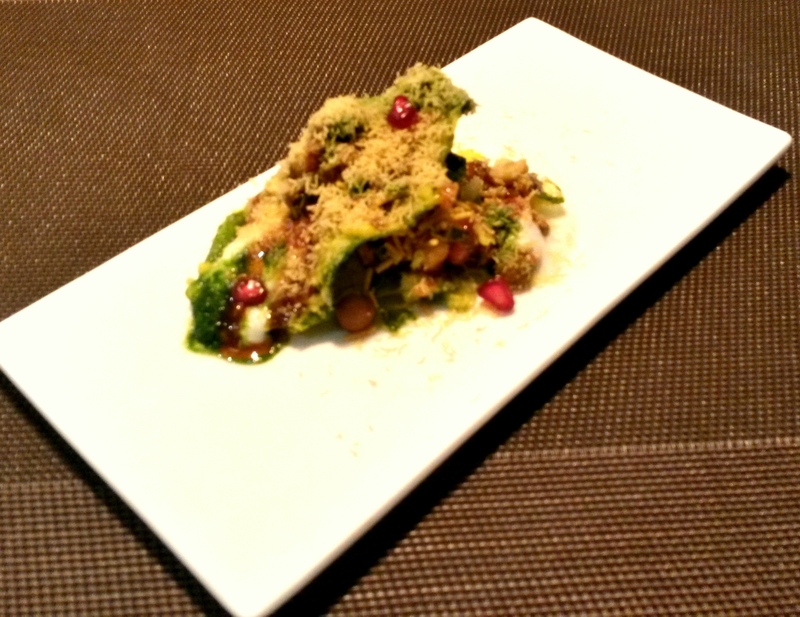 The Palak patta chaat (Rs 145) arrived first all dressed up in chutneys, sev and curd. 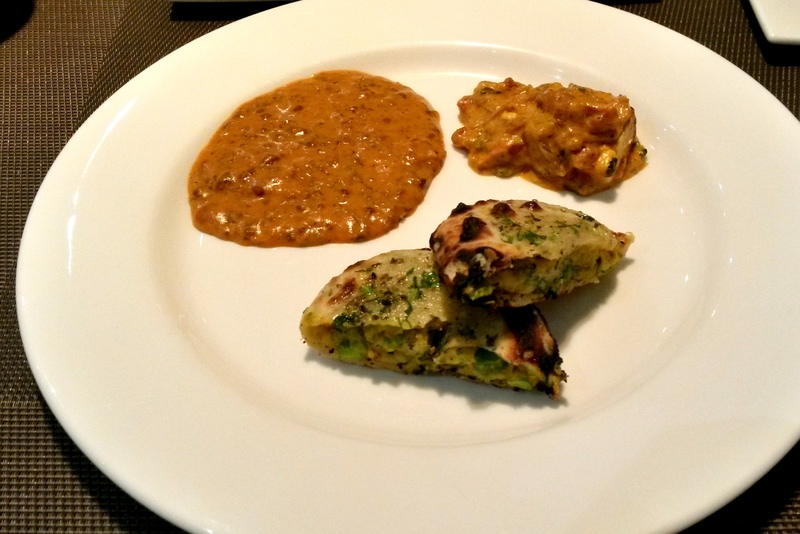 I must admit the condiments were great but the batter-fried Palak was quite rigid in texture. Next came the Subz Galouti (Rs 290), so silken, so rich, so flavoursome, the best I have tasted in the city. I would have loved a sheermal with it but the tava paratha that came along did justice too. Bhatti Paneer (Rs 325) was very commonplace and their signature beetroot tikki (Rs 275) knocked me back for a second with the pungency but then I started enjoying the panko crusted tikkis. Last on my starter menu was the Dahi kabab (Rs 290), again panko crusted and deep fried with a crispy outside and a soft cardamom scented hung curd core. 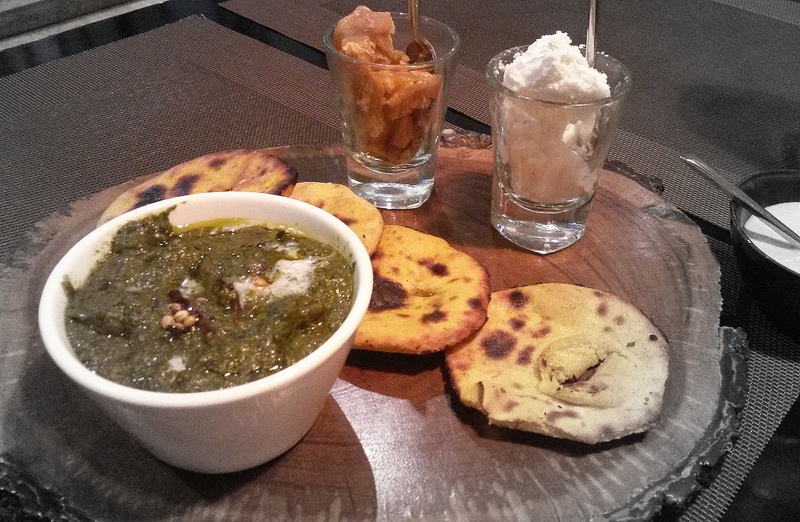 It was time for the main course and it comprised Sarson da Saag (Rs 350) and makke di roti (Rs 75), Paneer tikka Lababdar (Rs 375), dal ‘Made in Punjab’ (Rs 350) and Amritsari Kulcha (Rs 125). Trust me, it was overwhelming and brought out the true virtue of Punjab. You could pick any and you won’t be disappointed. 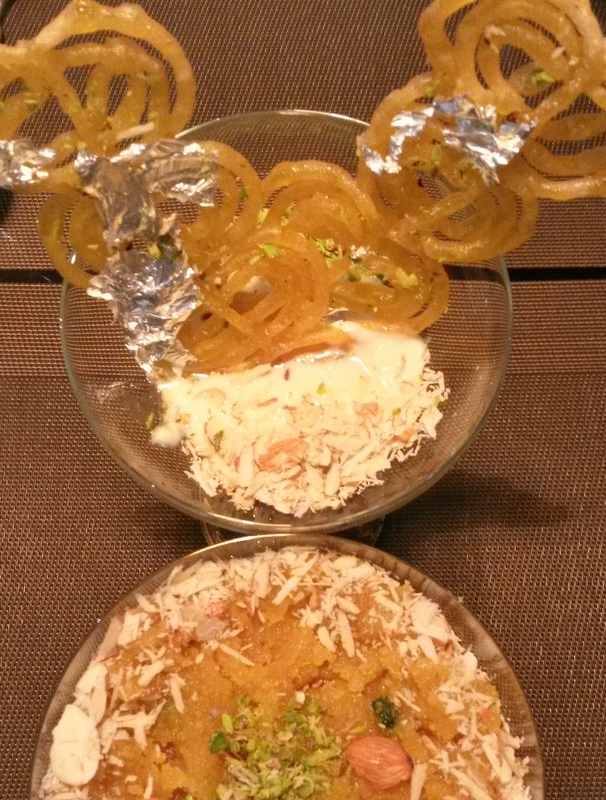 My most awaited course of the meal are the mithais, the moongdal halwa (Rs 195) indicated prosperity and the jalebi and Rabri (Rs195) oozed affluence. Must try Galouti and do try the world’s heaviest lassi! Not a big one, but still I would prefer using something more Indian than mayonnaise as a drizzle on starters. My whole experience was in lines with the Punjabi saying “Rajj Ke Kha, Teh Dabb Ke Vaah” loosely translated as ‘Eat Hard , work hard’ …… ever thought what happens when eating is work!! Anyways I plan to go back to finish the whole glass of the lassi along with the meal, just that for the next! San Qi at Four Seasons, Mumbai soaks in the ‘Songkran’ fervour!